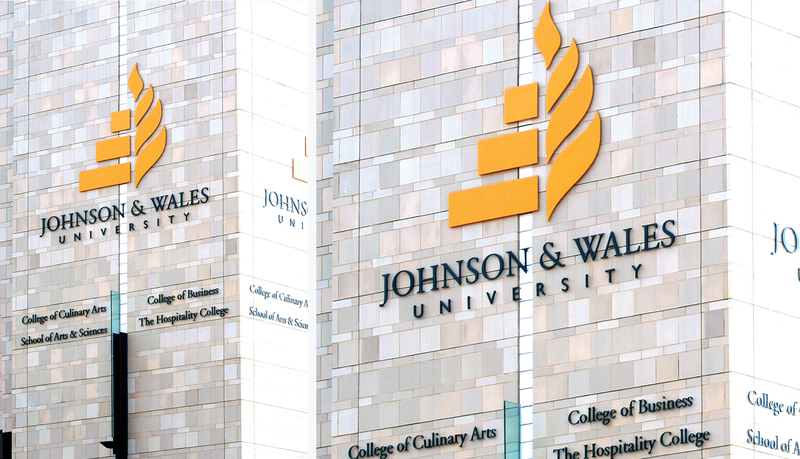 Johnson & Wales University is a world-class university, where students have the opportunity to pursue an undergraduate, graduate or doctoral level education in business, hospitality, culinary arts, or technology. 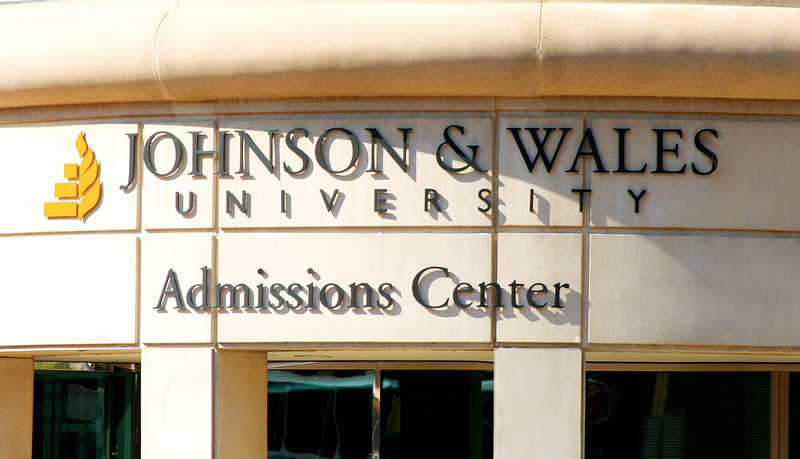 The Charlotte, NC, campus is one of four Johnson & Wales facilities, and it has approximately 2,500 students enrolled in the College of Business, the College of Culinary Arts and the Hospitality College. 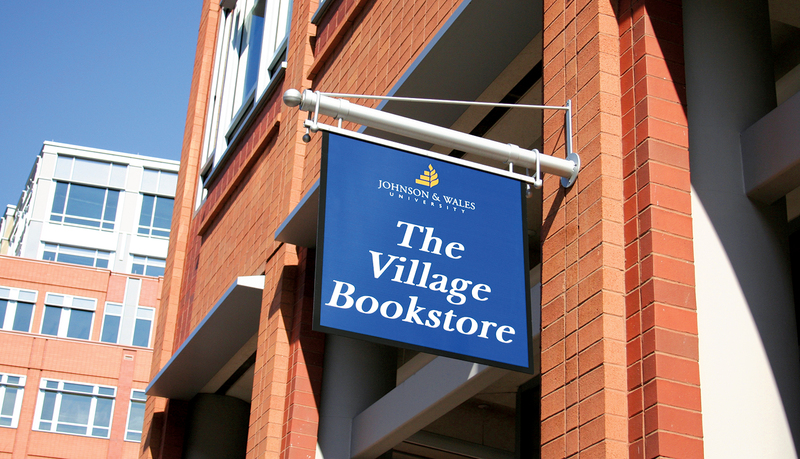 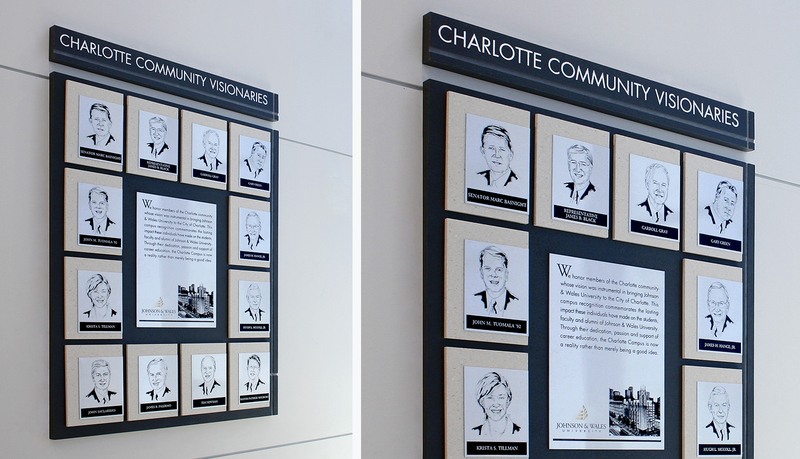 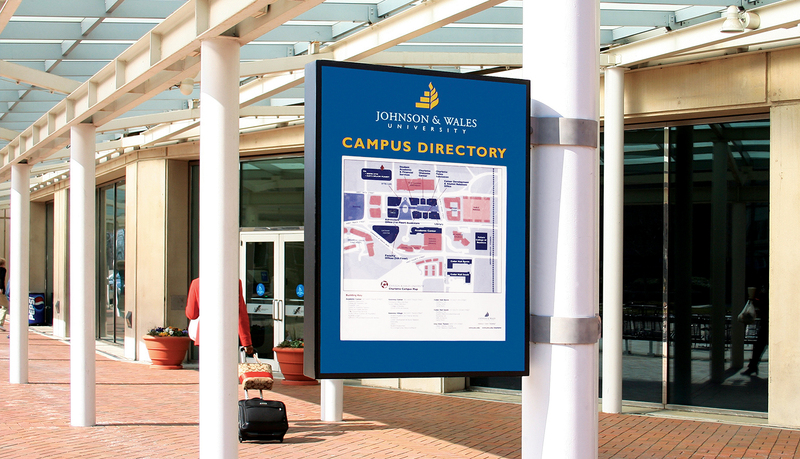 LS3P Associates Ltd., a respected architectural and interior design group in Charlotte, NC, was asked by Johnson & Wales to create a signage design for the University’s Charlotte campus, which is located in the Gateway Village business district. 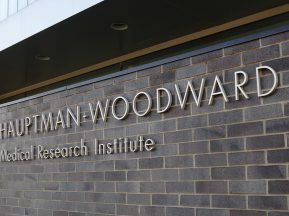 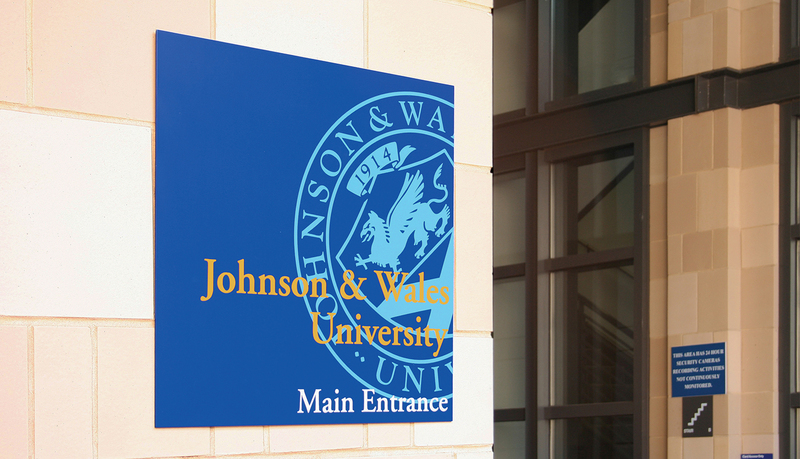 The signage needed to effectively promote the university’s brand – which features a bold orange flame logo, rich royal blue backgrounds, and a university specific font package. 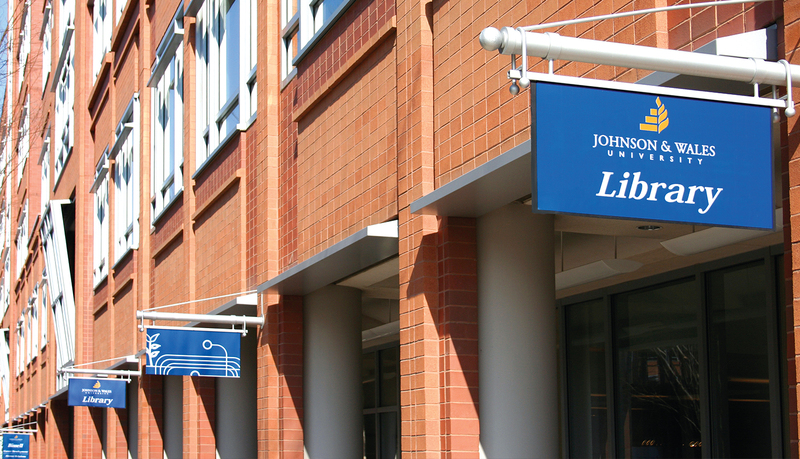 Due to its proven history of delivering outstanding service and innovative product solutions for LS3P Associates, ASI was brought in to bring the designs to life for Johnson & Wales University. 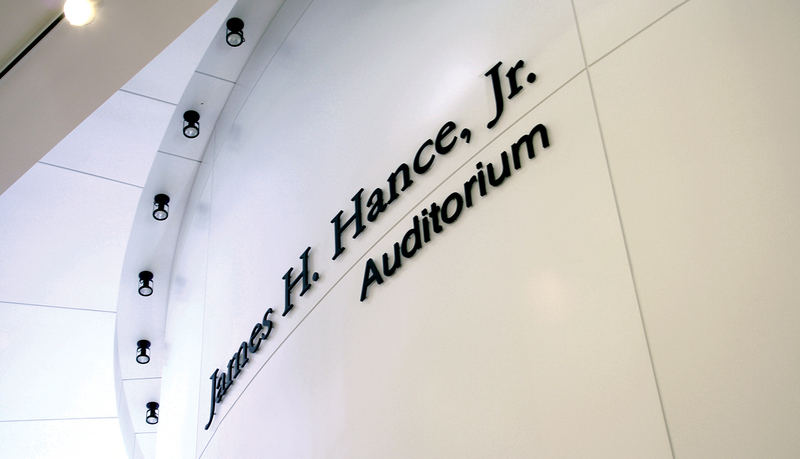 The exterior solution required the fabrication and installation of exterior dimensional logos and letters that could be seen from several city blocks away. 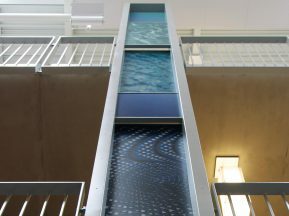 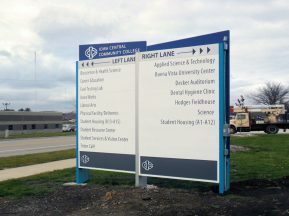 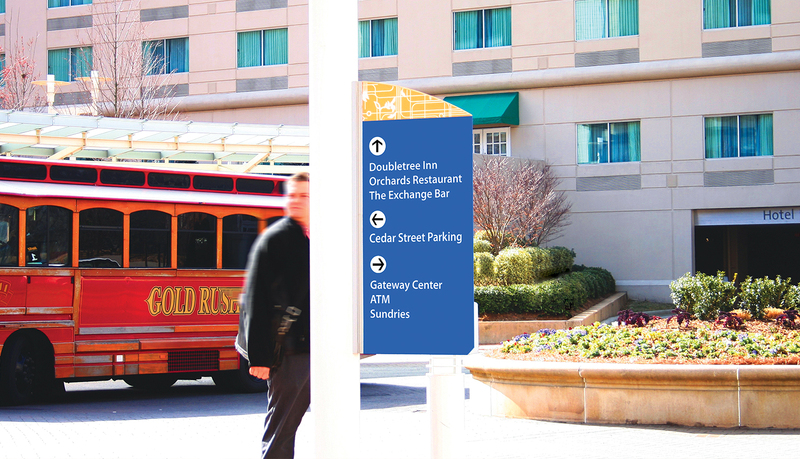 In addition, several custom aluminum exterior signs had to be created and installed at key decision and destination points throughout the campus complex to help guide visitors and staff to their desired destinations. 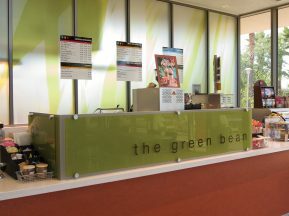 ASI also created a functional, modular interior system utilizing its unique Infinity chassis as a base for all the interior signage. 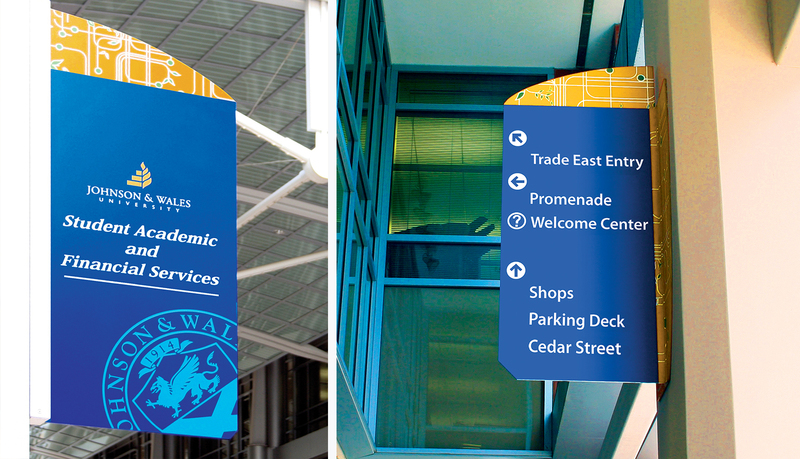 The chassis gives the architect and the university the freedom to update the interior signage messaging without having to replace the entire signage face. 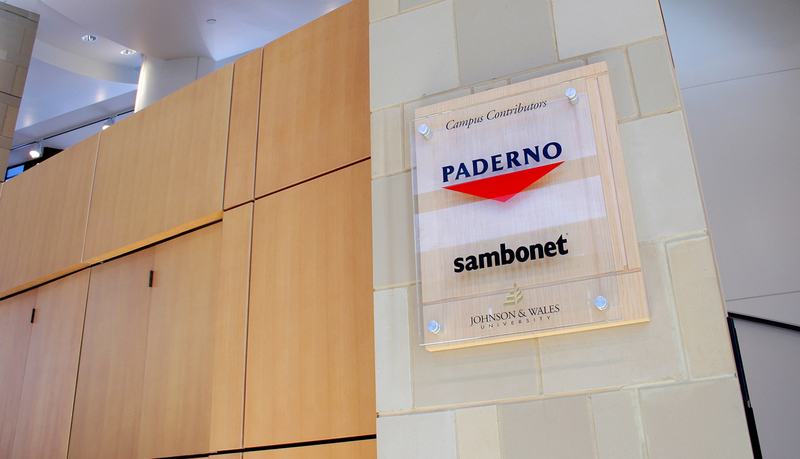 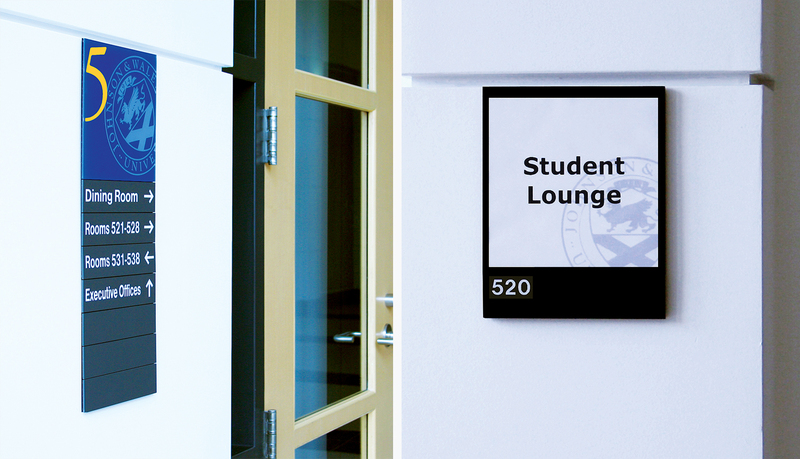 Multi-color graphic appliqués were also integrated into the face of selected interior signs.